Prince Alwaleed received Sheikha Mai Bint Mohammed Al Khalifa, President of Bahrain Authority for Culture and Antiquities, at his office in Riyadh. During the meeting, the Prince and Sheikha Mai discussed local and regional issues, and the global economic climate, as well as discussing the economic, educational and social issues related to their respective countries. Sheikha Mai also presented Prince Alwaleed with some potential cultural projects in Bahrain. 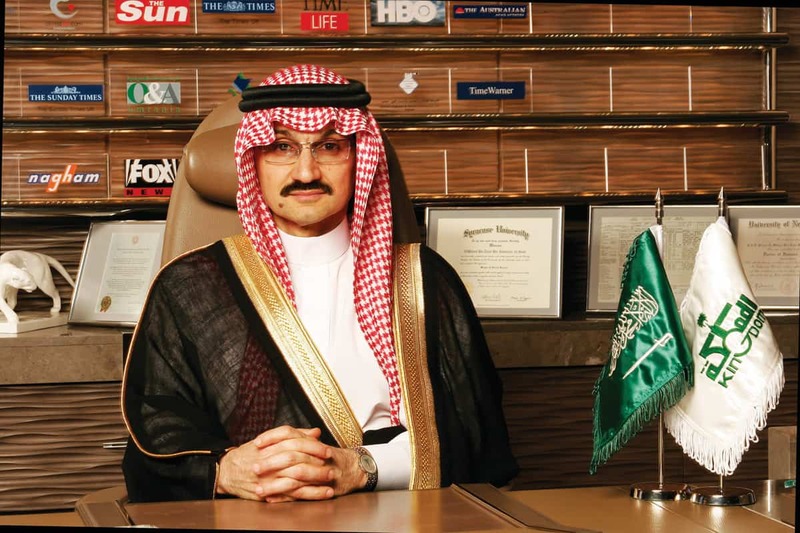 The meeting comes only four months after Prince Alwaleed’s TV station was launched in Bahrain, and abruptly taken of air only hours later by the ruling Al Khalifa family. Several reasons were given in the media and by the BNA, while rumours ranged from the probably to the petty, including that the new Saudi King Salman had taken offence at a tweet from Alwaleed’s account, and instructed his counterpart in Bahrain to pull the plug on the new station. However, the Prince continues to have good relations with the ruling family of Bahrain, and met with HM King Hamad Bin Isa Al Khalifa in April at His Majesty’s Palace, however the Prince has not met with HM King Hamad since the closure of his Alarab TV earlier this year. It is expected that Prince Alwaleed will revive the ill-fated Alarab TV station, with possible bases being considered in London and Cyprus.